Anyone can make a free printable flyer these days. You see them everywhere, but what are they really used for? Basically it is a paper ad or leaflet. They are used by businesses, organizations and individuals for different reasons. We are providing a Free Tutorial and Tips to Make Professional Flyers and Leaflet Designs for your businesses and companies through which you can promote your products and services effectively and efficiently. Flyers (or fliers) are used for promoting services or establishments like restaurants. These leaflets are also used by organizations to further their political campaign activities, social, religious or evangelical messages. These are very popular during elections; you will see campaign volunteers giving away fliers to promote their candidate and cause. These leaflets are also used in war for propaganda. You can use it in political rallies, festivals, concert promotions, recruiting members for an organization and so on. There are many websites that allow you to create these flyers easily. These websites provide many templates you can work with. Note: some of these sites may require (free) registration. To use the template, add the necessary information. Upload any images or clip art. Click the “Create Flyer” button or something similar. After your flyer is created, you will be taken to a page where it can be printed. The print options will depend on what printer you have installed. Print as many copies as you want. Now you can distribute them freely. Click New and look in My Templates or Installed Templates. If there is no flyer, look under Microsoft Office Online. Scroll through the list until you find “flyer”. You need to be online to access it. Click the template. Add the details. Fliers come in different styles and sizes. 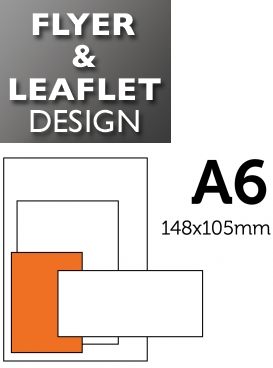 The most common are A6 (postcard size), DL (comp slip size), A5 (roughly half letterhead size) and A4 (roughly letterhead size). These sizes are widely used online. They are also supported by printers. Fliers have always been popular because mass production can be done cheaply. Affordable high quality printers and software made them even more so. Production of flyers has been supplanted by Web based services. The finished product is sent via electronic mail. As pointed out earlier, anyone can make them now. These leaflets are given away for free. Aside from political campaigns, these leaflets are given away at markets, Laundromats, community meeting houses, cafes and so on. Modern fliers are typically set on 130gsm/170gsm weight paper. What Makes for an Effective Flier and Leaflets? A well-made flier will convince people to purchase a company’s services or product. Or it will convince them to attend this or that event. A flier relies on imagery and text. During a flier’s creation period, the topic is developed. You need to give it a focus. One of the problems with some fliers is the purpose is too broad; they need to be specific. Anyone who wants to make a free printable flyer should start by making drafts. Because they are so simple to make nowadays, it is easy to overlook the design. The most important thing is to make sure a flier catches the attention of people. The title is significant; it is what people will look at first. The title should refer to the product / event. If you are going to use the flyer online, it must have relevant keywords. If the leaflet is effective you will achieve the ultimate goal; get people to take action.